I use this sunscreen, but the SPF 45. 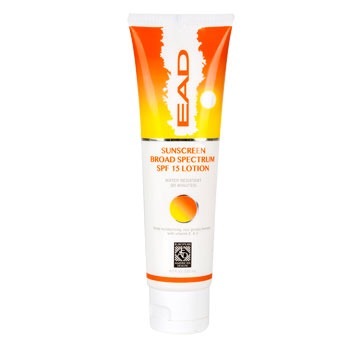 This sunscreen is the #1 used Sunscreen in the Middle East and it is made in the UAE, where it is over 100 degrees everyday, so the sunscreen works, and works well. The bottle clearly states to Re-apply after towel drying. This sunscreen does not contain any oils, like other sunscreens do, so if you towel off, the sunscreen will come right off. I am sure the boy accidentally wiped his sunscreen off and hence got burned.. Yes you always reapply but in 3 hrs the sun would never burn him this bad. Shame on you for even stating that it’s BC a child removed it. His mother is right he would have been better having nothing on. If you see he’s not purple. 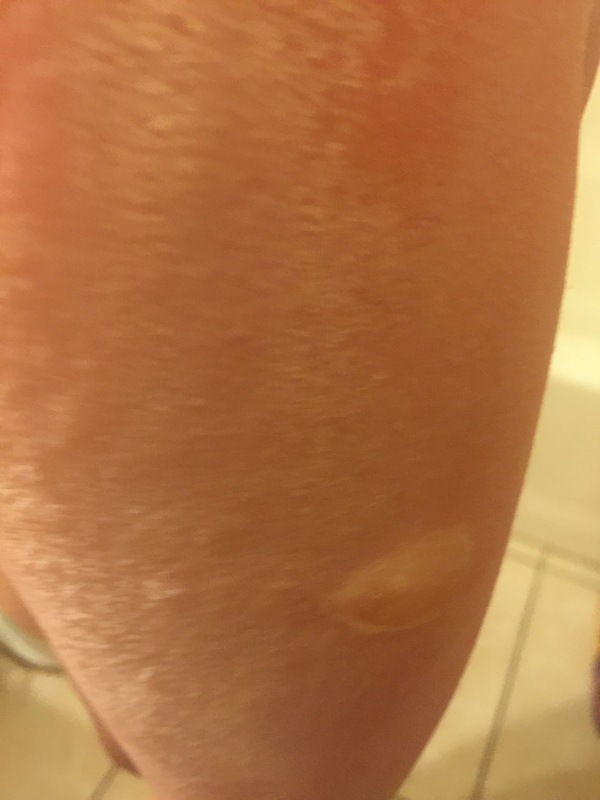 Skin will go purple from burns the blister. So it clearly was the product . He may have had a reaction as well. Please if it’s 45 you use there is this happened it so it’s not natural like your stating .. learn more about your products before stating your opinions. Yes you always reapply but in 3 hrs the sun would never burn him this bad. Shame on you for even stating that it’s BC a child removed it. His mother is right he would have been better having nothing on. If you see he’s not purple. 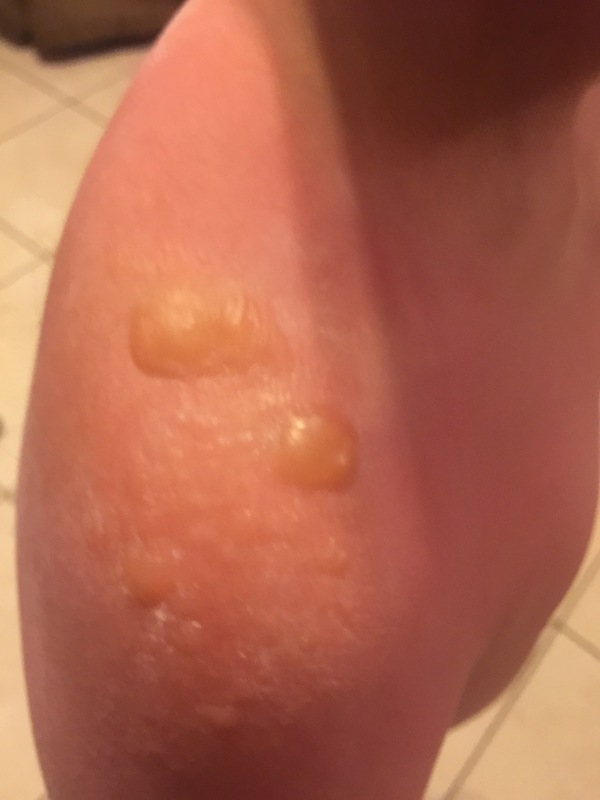 Skin will go purple from burns then blister. So it clearly was the product . He may have had a reaction as well. Plus if it’s 45 you use there is no way it’s natural like your stating .. learn more about your products before stating your opinions. Dear Mom, I hope your son is improving. You should definately talk to a lawyer. It is no small matter. 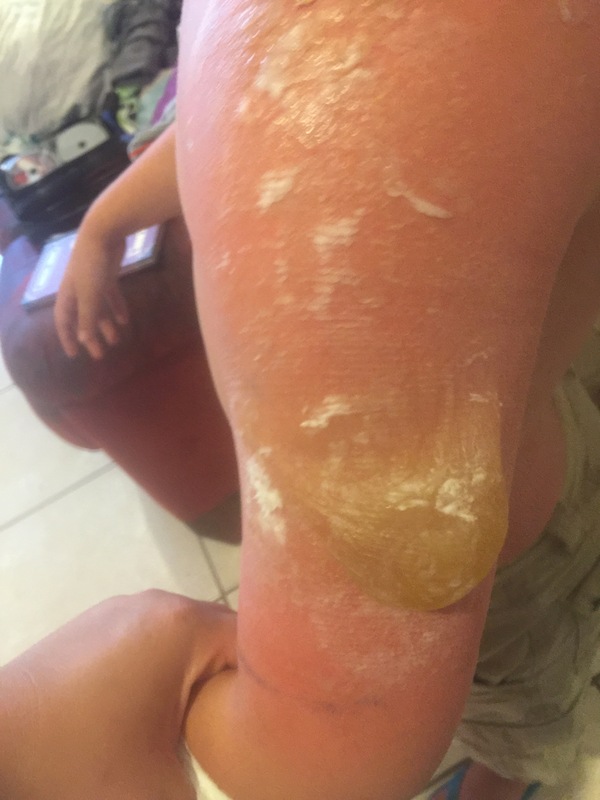 that is a seriously infected chemical burn, compounded by the sun. I’ve bought things at dollar tree and some of the laundry detergents and cleaning supplies are very watered down…yes, a lawyer is in order here. Agree with Karin … the skin is the largest organ of the body. It has many functions that could be seriously influenced. Your pictures should be saved. The exact same thing happened to my grandson. 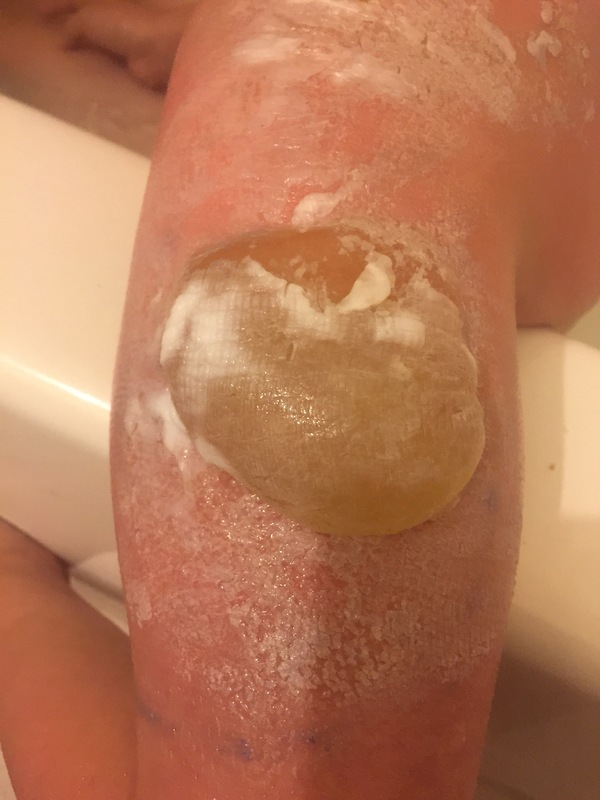 His blisters were not as sever, but pretty bad. 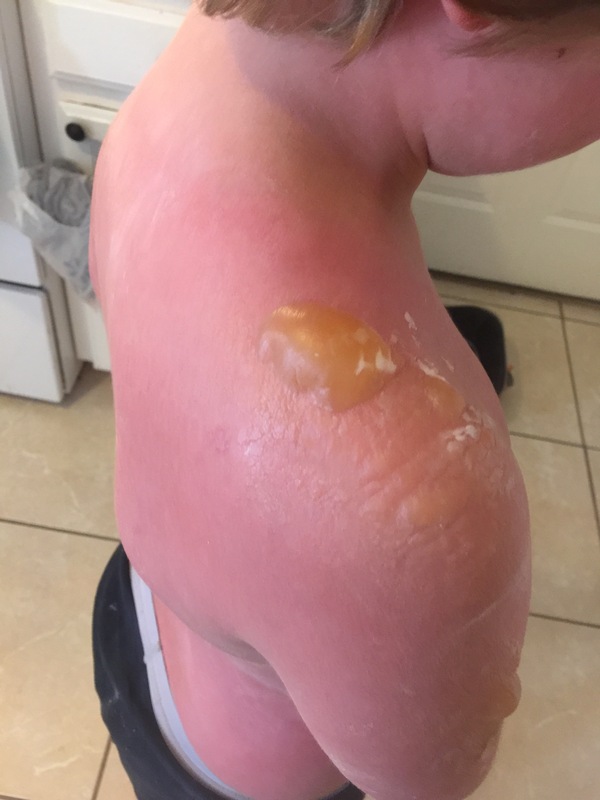 He did not use the same sun screen as this boy….Do you have a diagnosis from the doctor?? Our doctor was baffled. FIRST: I would not buy something as important as sunscreen at Dollar Tree. Skin is too important for that. SECOND: If I was advertising these burns, I would also advise that THIS IS WHAT THE DOCTOR SAID. There is no mention of doctor visits or ER visits. THIRD: SPF 15 is not near enough. My entire family is fair skinned & we wear 50 or more SPF and reapply atleast every hour & especially after getting out of the water. FOURTH: 3 hours straight in the pool? It can easily come off or be wiped off. Come on Frayed Mama…..do your research and don’t leave out important details !!! Put $15 dollars in to some GOOD sunscreen. KEEP HIS WOUNDS MEDICATED & COVERED FOR 6 MONTHS. YES, 6 MONTHS. (ie: long sleeve shirts & pants) You shouldnt see any scars if you keep them covered & give the skin time to regenerate. Yes! Very condescending of this lady, and I’m glad you buy 50 plus sunscreen for your family and reapply at least every hour! If only every parent was as responsible as you! Kids get playing, time gets a way from us mothers, especially if you have more than one child. Mothers make mistakes, we are human! This lady cared enough to send a warning out to other parents and you put her down because she isn’t as perfect of a mother like yourself! She states she had other sunscreen but thought to buy extra just Incase. At least she was proactive on that! 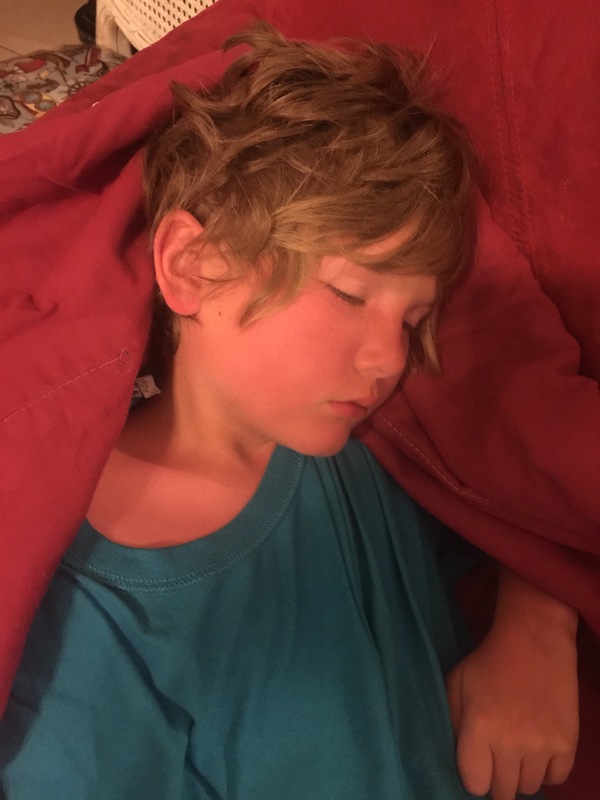 I have a brunette that can’t be in the sun long with 50 sunscreen and sits covered up with a hat under a umbrella and then I have a blonde haired boy that gets sunscreen on him because I make him but he tans dark as could be! So you never know.FYI, I’m a liscened cosmetologist that has researched sunscreen and I hate to burst your high bubble that you are sitting on but it’s proven that any sunscreen higher then 50 doesn’t have anymore coverage than 70! I’m sure this Mom feels bad enough, and then you judge her with cruel words! 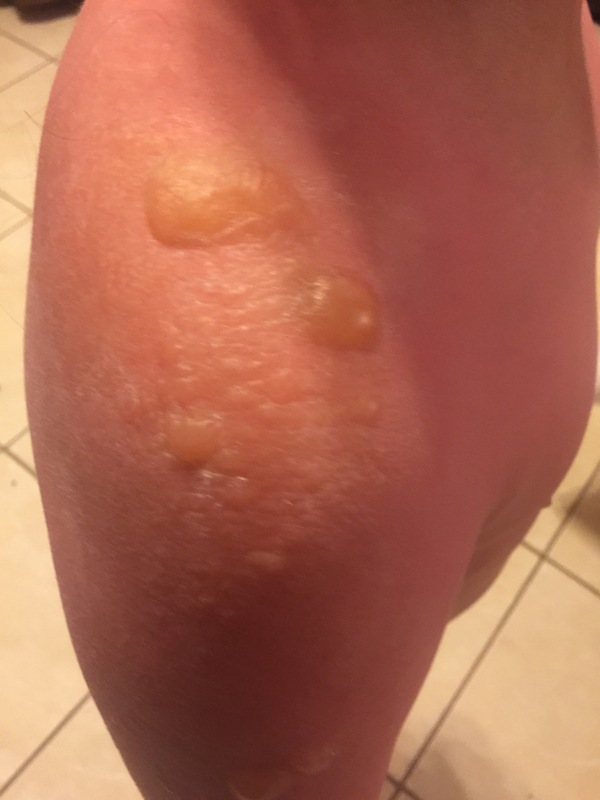 No, this woman did not use the sun screen incorrectly. I had the same exact experience with my oldest son (22 year old RN). My two youngest children (teenagers) used another brand. My oldest the dollar store brand. We were out about 2 hours. 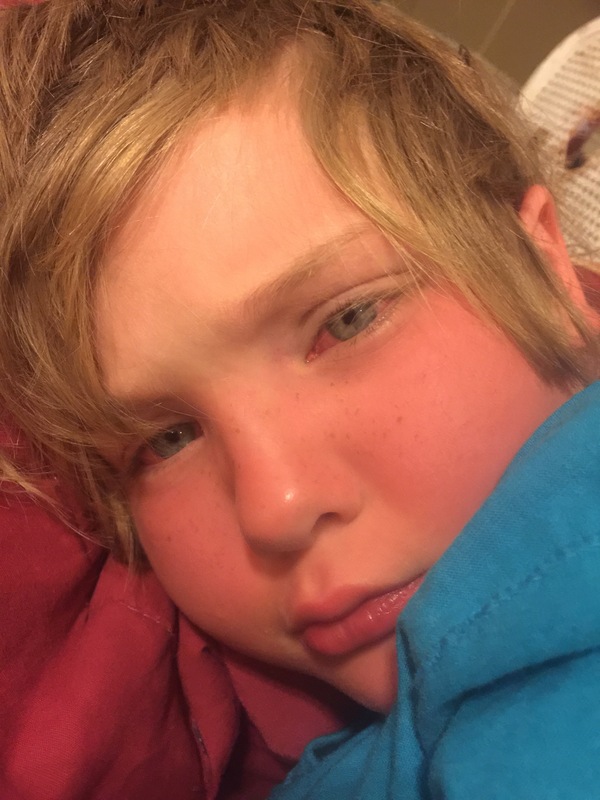 My oldest was horribly burnt. My daughter who is more fair did not so much a get pink. Why? 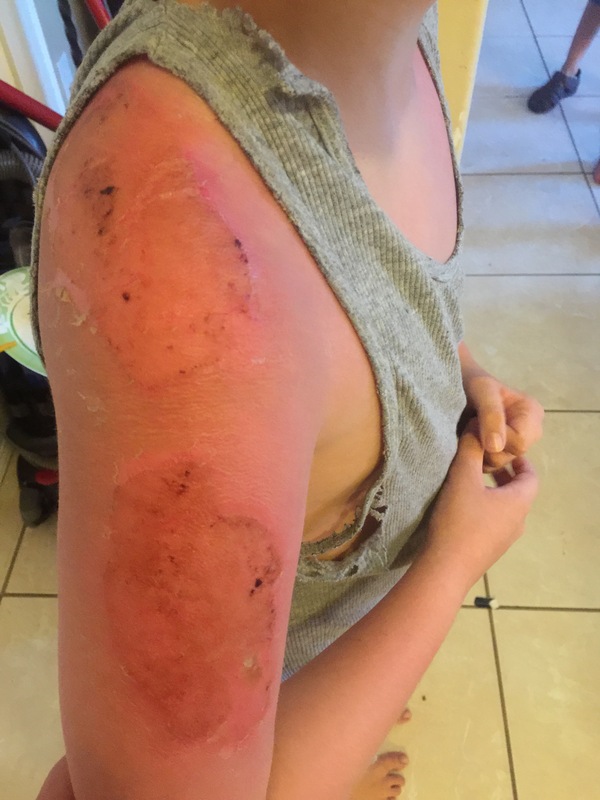 He used the dollar store brand and she used another brand both had the same spf. We could not figure out what happened… until we say this article. 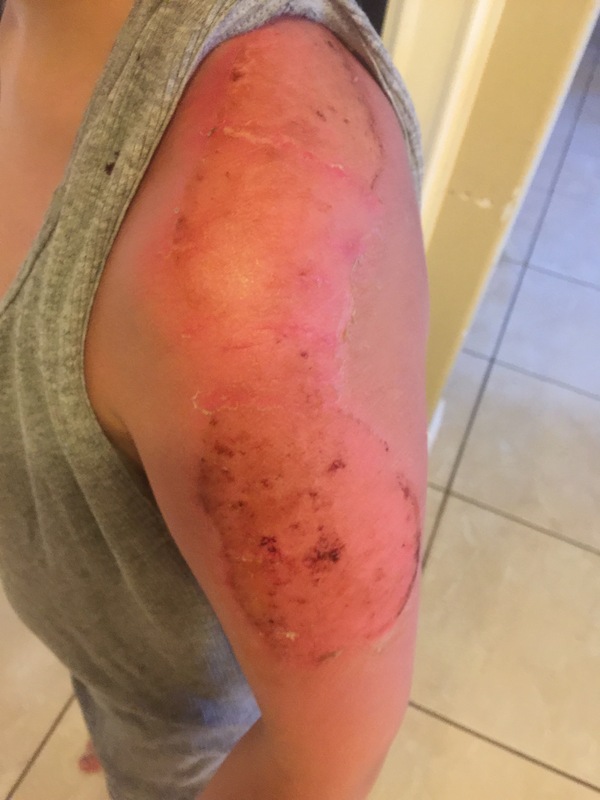 Did some research and found out some lotions can cause chemical burns and accelerate the sun exposure. Just because you did not have the same experience this woman and her son did please don’t stupidly awesome it was her fault. She is trying to warn others. I stand with my comments. 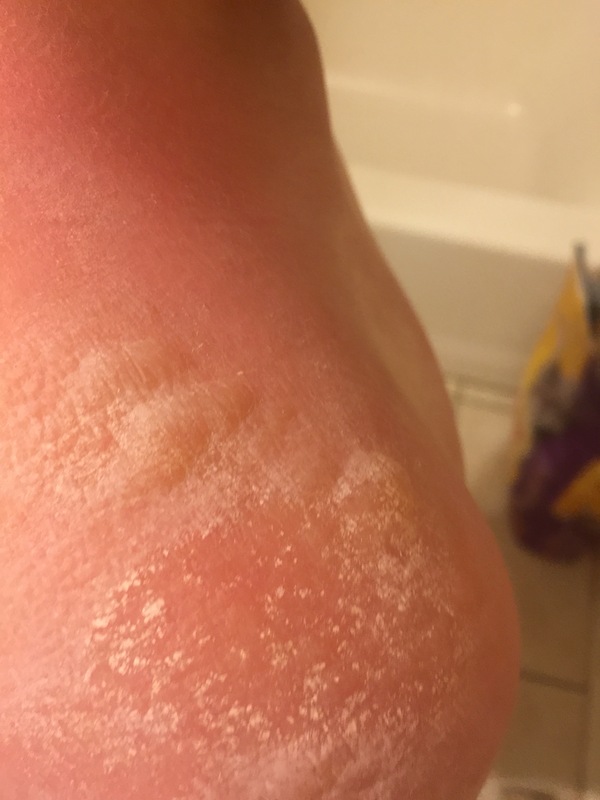 Dont by dollar tree lotion in the first place. 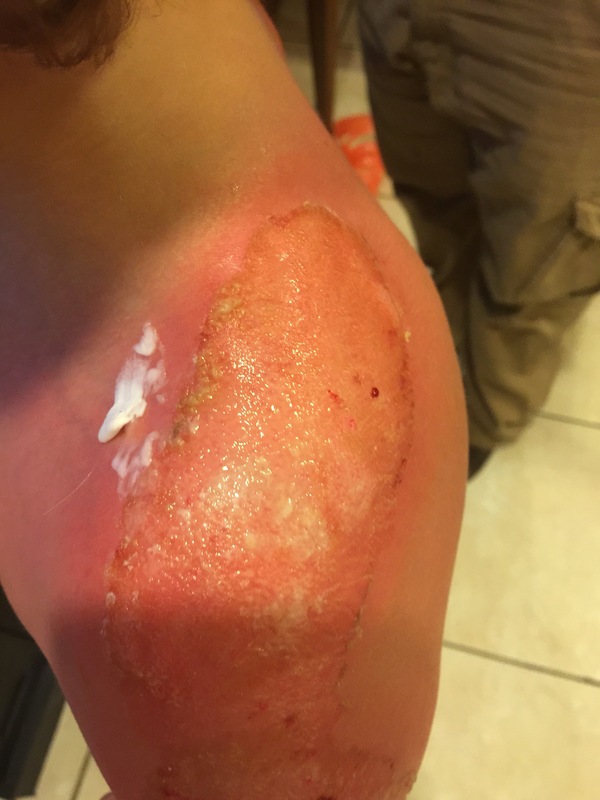 No, this woman did not use the sun screen incorrectly. I had the same exact experience with my oldest son (22 year old RN). My two youngest children (teenagers) used another brand. My oldest the dollar store brand. We were out about 2 hours. 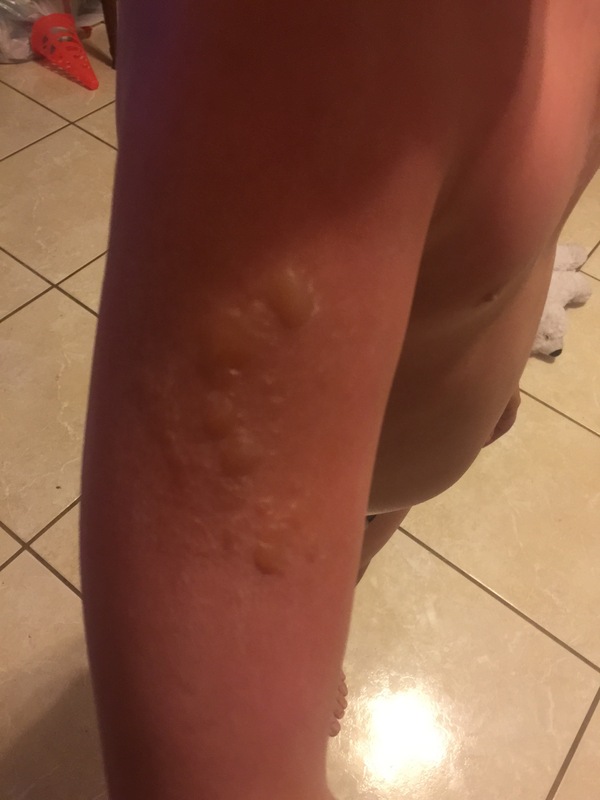 My oldest was horribly burnt. My daughter who is more fair did not so much as get pink. Why? He used the dollar store brand and she used another brand both had the same spf. We could not figure out what happened… until we say this article. 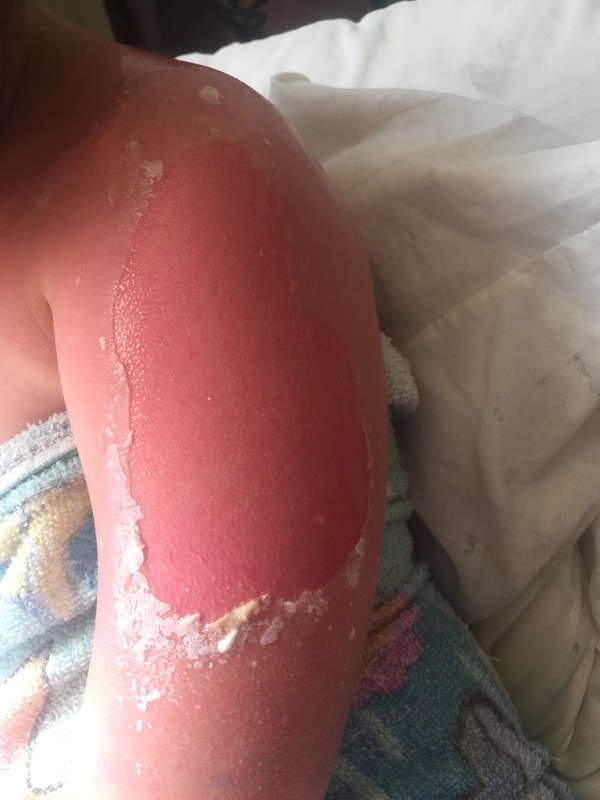 Did some research and found out some lotions can cause chemical burns and accelerate the sun exposure. Just because you did not have the same experience this woman and her son did please don’t stupidly assume it was her fault. She is trying to warn others. I am so sorry your son suffered and is still suffering. I wanted to point out that our personal care industry is not regulated in the USA. No law has been passed since 1938 that regulates what is allowed in our products. This means that anyone or any company can put whatever they want in a bottle and sell it. This is true for our shampoos, lotions, make up, soap, and even sunscreen. It is sad but true. 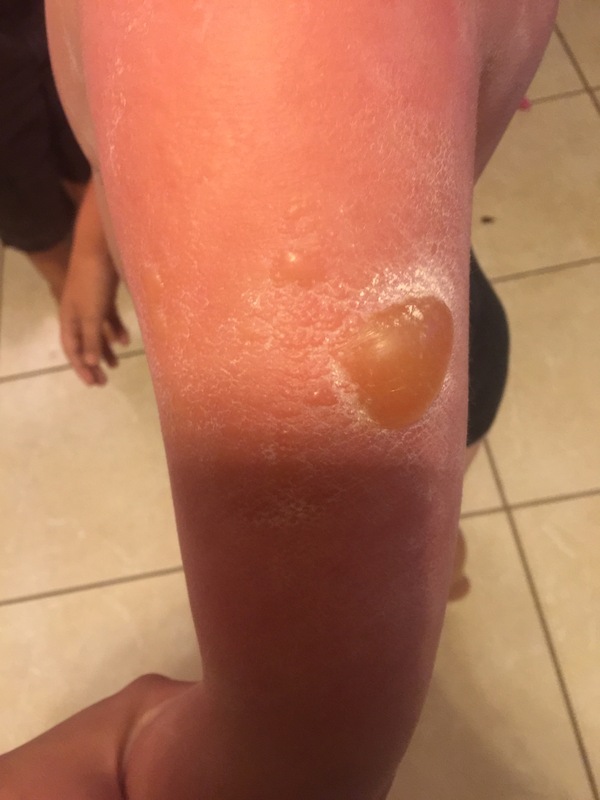 I’d suggest doing a lot of research on your companies products before using on your skin or your kids. 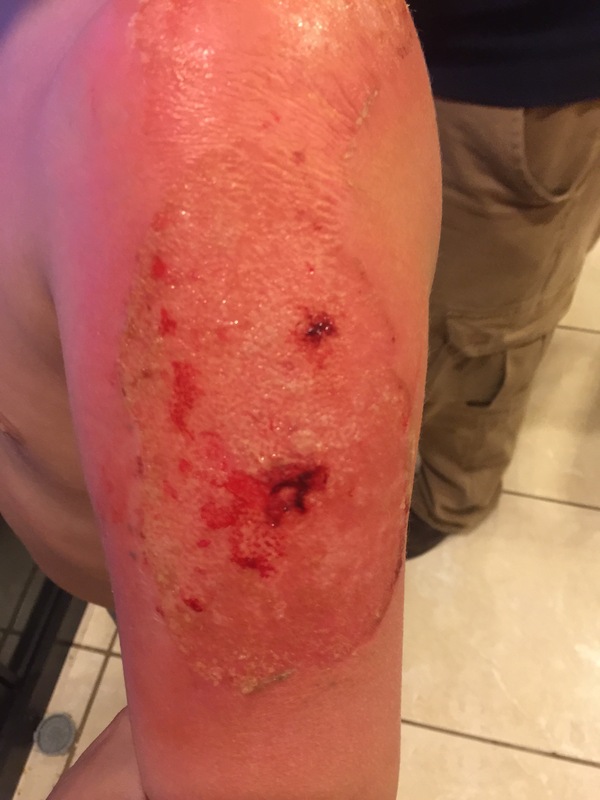 There are companies that make safe products that work. We all deserve better! 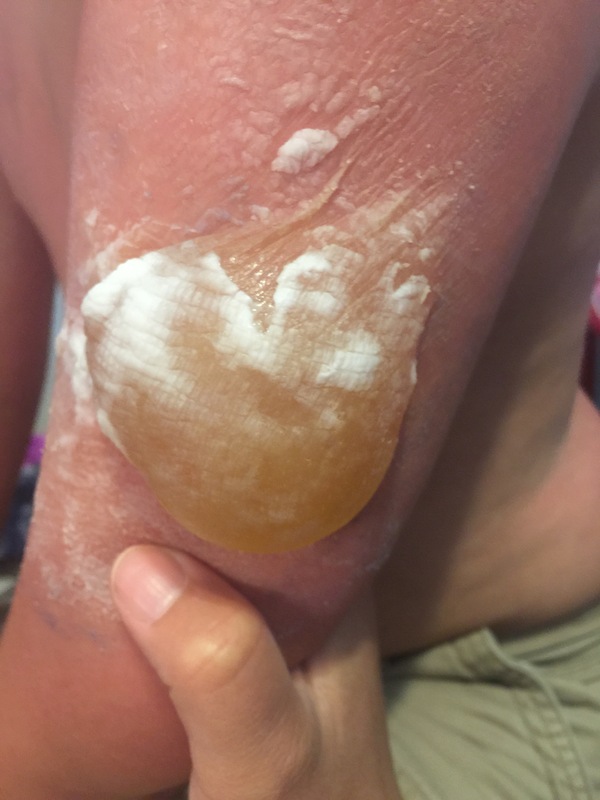 If your son has a fair complexion, then you should have used a sun screen with a higher SPF. An SPF of 15 is not enough. 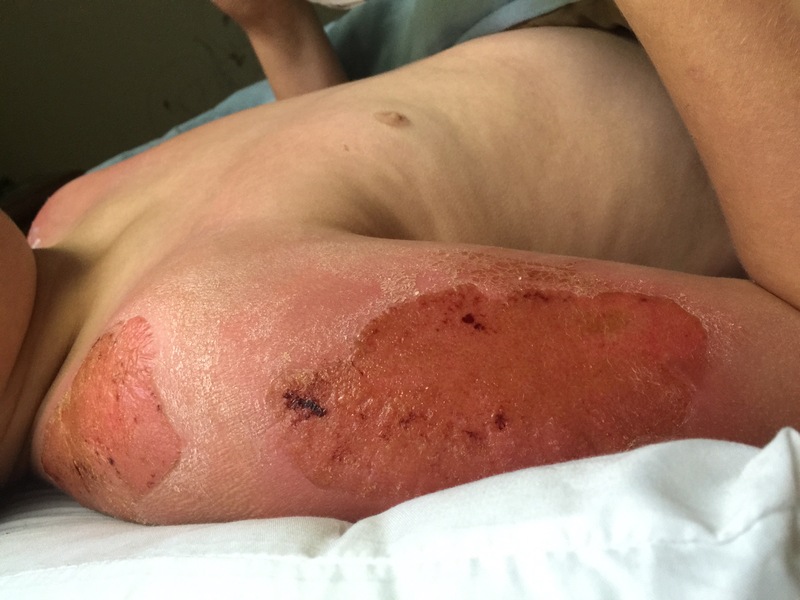 SPF 15 may be the reason he burned. 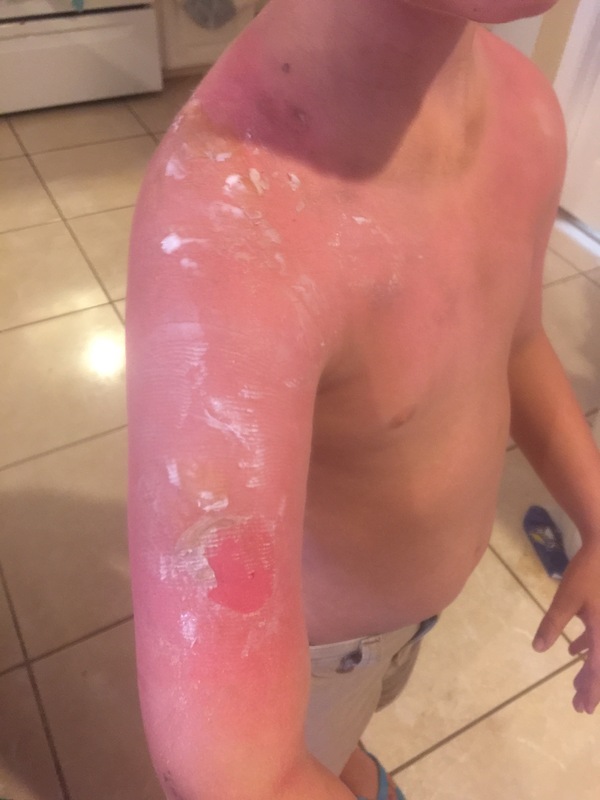 Kids should use spf 50. Use your brain and quit placing blame on others.